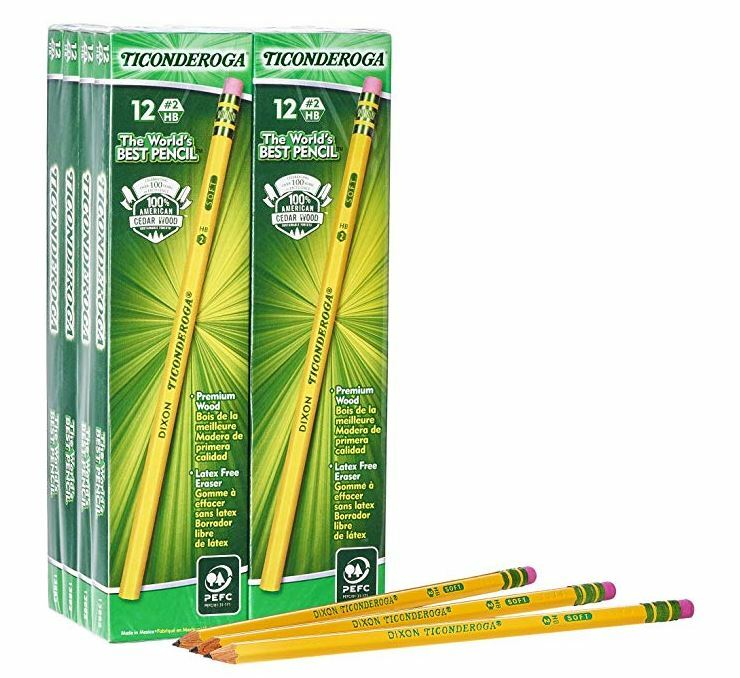 Get this Dixon Ticonderoga Wood-Cased Graphite Pencils, 96 Count on sale for just $9.96 (Retail $32). The Ticonderoga is the world's best pencil. Satin smooth finish enhances writing comfort. Exclusive graphite core formula gives you extra smooth performance. Crafted with premium wood from well managed forests. Top quality, latex-free eraser provides easy, clean corrections.